Headlines and initiatives about smart city projects in Dubai read like an avalanche with news of the world’s first driverless pods, robocops and how municipal waste will soon power homes and buidlings. Dubai, the largest and most populous city in The United Arab Emirates (UAE), wants to transform its government by the year 2020, making it the first “smart” government in the world. The 2020 smart city vision would mean the end of bureaucratic paper pushing. The UAE plans to implement smart contracts on the blockchain that would handle bill payments, license renewals, real estate transactions, visa applications and more to reduce carbon emissions, processing times and costs. According to The Smart Dubai Government Shared Services Impact Report, compiled by IBM, that level of support and investment in new technologies has reportedly already saved the government $97 million (AED 358 million) per year since 2003. 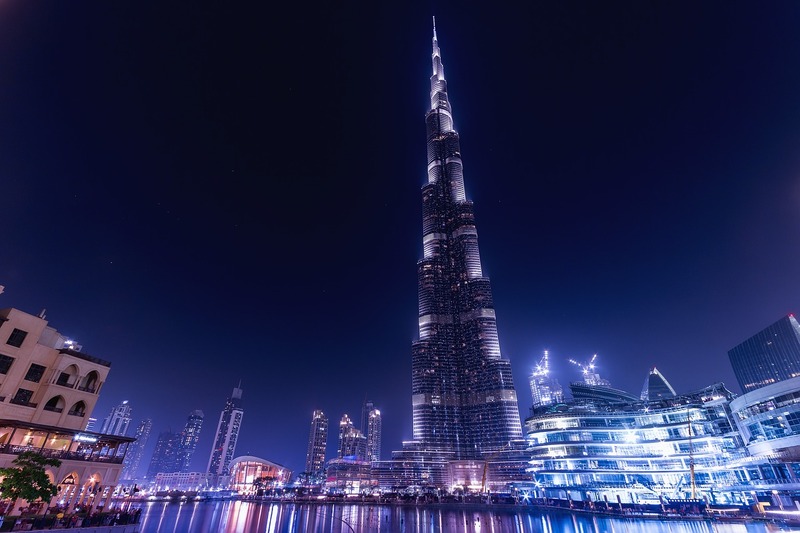 By fully embracing blockchain strategies, Dubai expects to save $1.4 billion (AED 5.5 billion) per year. In April, Dubai will host the World AI Show. • Emcredit, a subsidiary of Dubai Economy, and the UK-based Object Tech Group Ltd will work together to develop and implement emCash, an encrypted digital currency operating with blockchain technology, which people can use to pay for various government and non-government services in Dubai. • The Dubai Land Department (DLD) became the world’s first government entity to adopt blockchain technology. Its database records all real estate contracts including lease registrations, and links them with the Dubai Electricity & Water Authority (DEWA), the telecommunications system, and other property-related bills. • Cryptocurrencies improving and innovating the system in UAE: ArabianChain, a local cryptocurrency for secure payments and money transfers; Onegramcoin, a sharia-compliant cryptocurrency completely backed by gold; Money Trade Coin, aimed at educating younger generations about the benefits of using and trading digital currencies. Dubai is scheduled to host the World Blockchain Summit in October 2018.